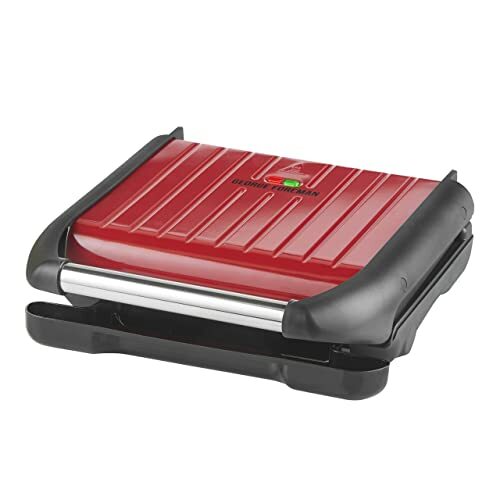 Have been looking in to buying a Foreman grill for years and although this isn't the latest model it really does not disappoint. I would say this is aimed for two people, it would fit say two chicken breast or about three pieces of bacon in one go. 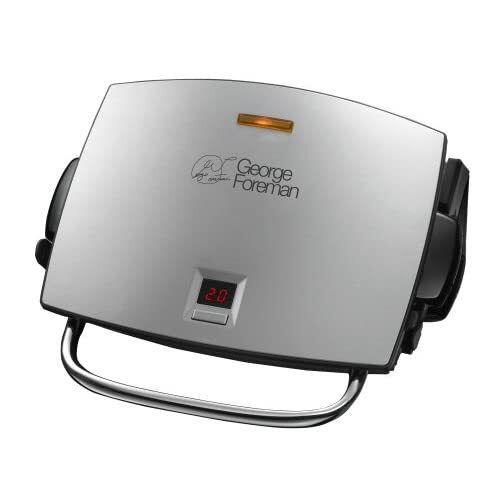 Have also started using this for making toast or toasties which is so handy. Very easy to clean as well as the plates are very smooth. 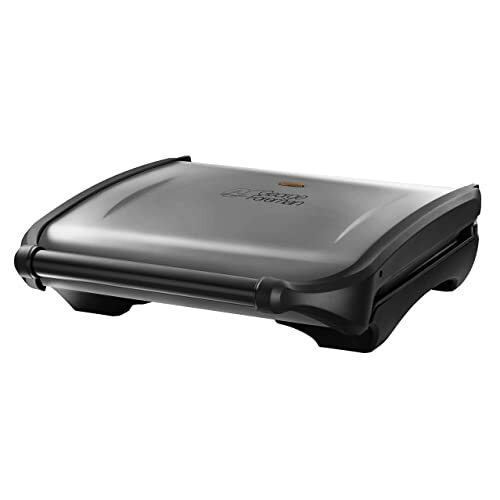 I upgraded from a mid-level George Foreman and haven't looked back. 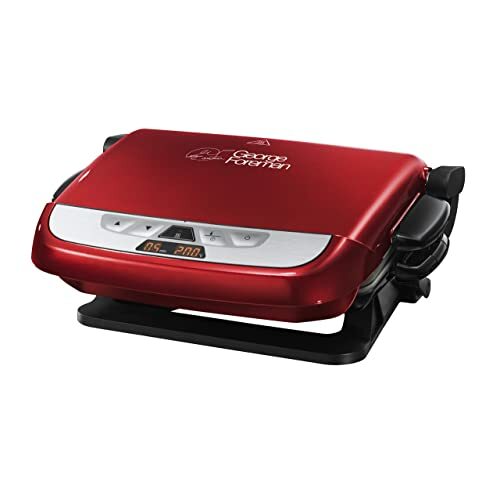 Everything that I've grilled on this has been great, I use the automatic setting and nothing has ever been undercooked or overcooked. 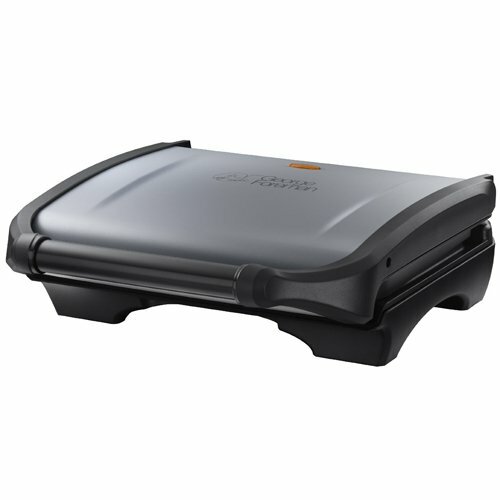 Easy to clean and maintain, makes cooking my meals much easier and quicker. If your busy with life and work commitments but trying to be healthier then check this out. 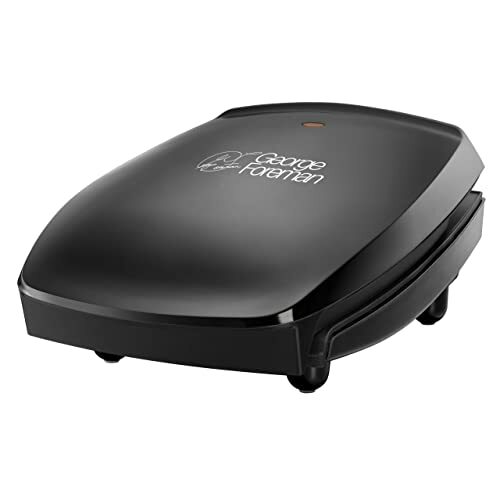 So easy to turn on with the grill heating up within 60 seconds, cooks evenly and drains the fat well. Stands vertically for good storage and at under £20 is a vital kitchen purchase. 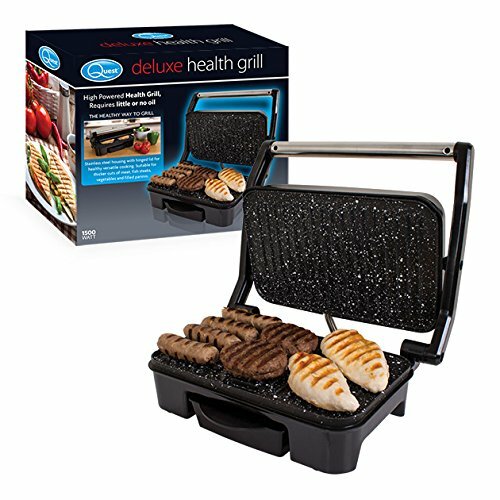 Great product and the removable plates are a bonus - used to have similar without the removable plates and it was a pain. 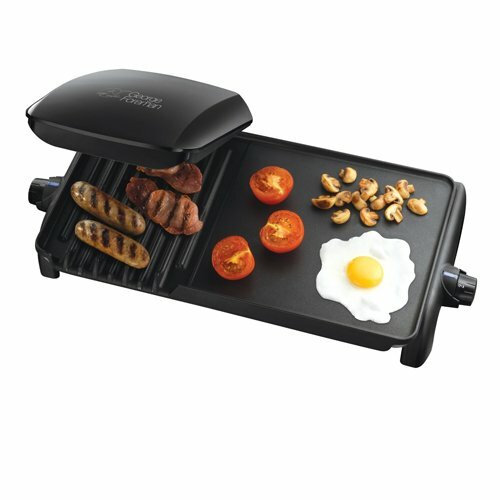 Grills everything beautifully and all round easy to use. 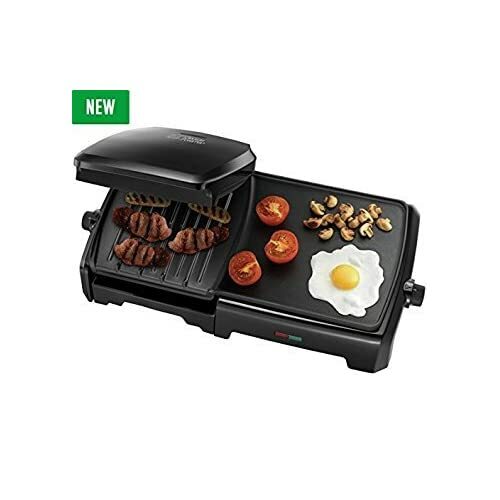 This is worth buying but I had to send the first one back as the top grill left a burnt mark after a couple of uses which wouldn't remove totally with cleaning. I sent it back and reordered the same one. 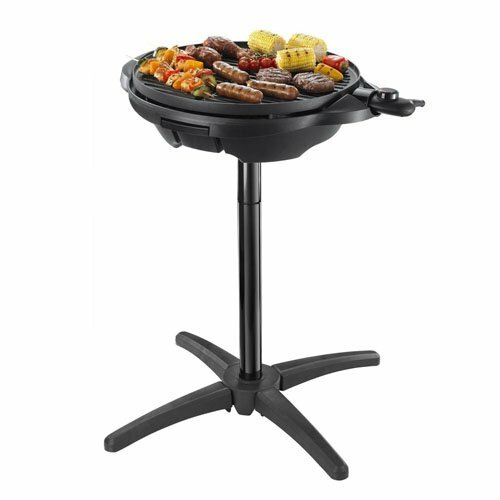 My tip would be to spray fry light into the grill before using it to prevent the food from sticking as there is no mention of this in the instructions. Bigger grill than we used to have cooks a lot quicker as well. 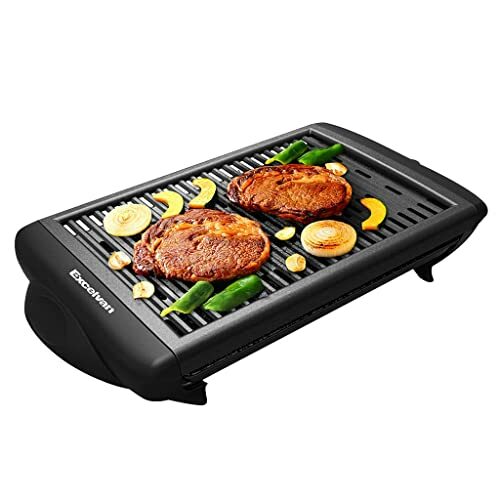 I didn't know weather to buy this due to reviews but glad I ignored them and bought it as its brilliant, you can get 4 pork chops on with room to spare, two toasties, also had 12 sausages on the other day cooks really quick. not rubbish like other reviews state. very good quality. 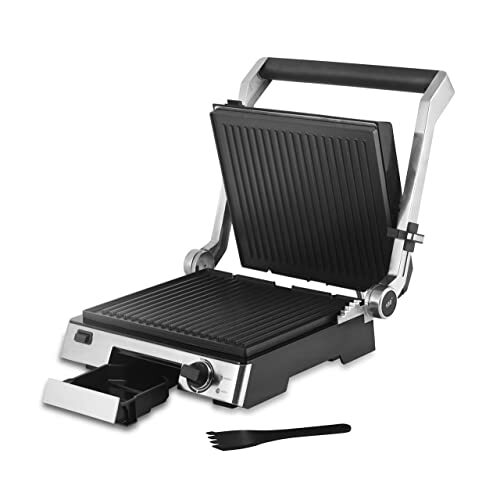 Nicely made and great having the hotplate to warm buns or do pancakes etc. Some little quibbles. The hinge section doesn't separate far enough. So if you try cooking several thick items those at the back cook much faster than those at the front. 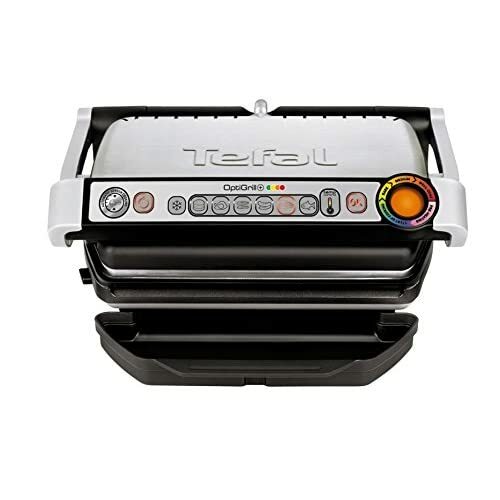 Also the hotplate appears to have a slight tilt toward the grill section so liquids can run that way. 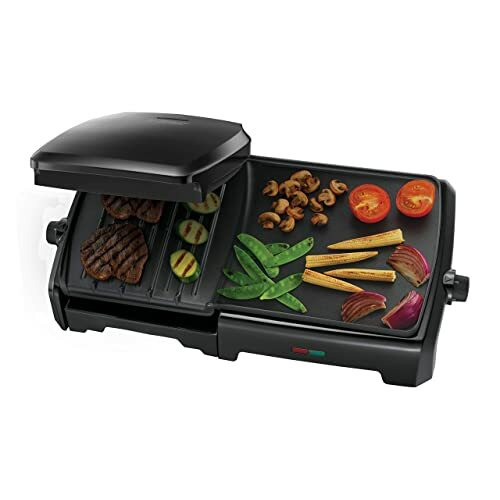 Also the grill doesn't have much tilt so much of what runs off stays in the grill rather than going into the drip tray. Except that the back of the grill tray is hard to clean. Love this and i cant believe i didnt buy one earlier, its so quick for a busy life. 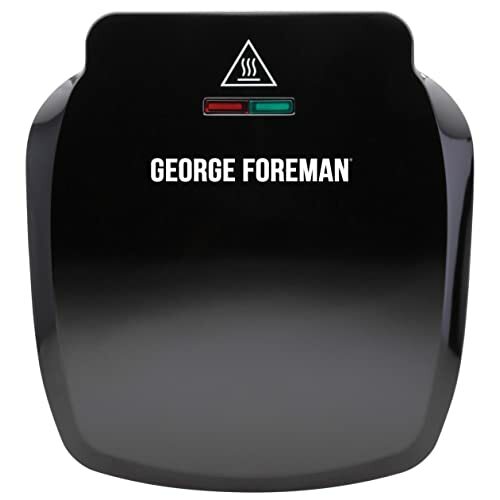 Works really well, gets very hot fast and easy to clean. Fits 2 slices of bread side by side. No problems at all so far.